Do you consider yourself a protagonist of the Advanced Industry? If you have a leadership vision for Industry 4.0, we are calling for you! We are looking for experts, researchers, professionals, entrepreneurs, universities, associations and organizations from all over the world who want to present and discuss the latest solutions and technologies that are emerging in the new era of Industry 4.0, as well as to spread ideas and experiences that are being increasingly consolidated in the industrial sector. Industry 4.0 Congress is the largest European Congress on advanced and digital industry. A space where to discover the latest emerging technologies and the most innovative automation and manufacturing systems, a mandatory meeting for any professional, who wants to boost their factory to the maximum level of competitiveness and innovation. 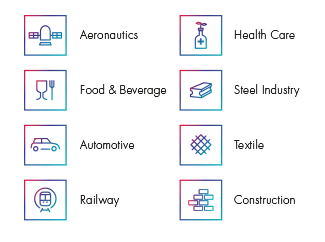 The Industry 4.0 Congress is a big occasion for that professionals of the sector who want to boost their factory to the highest level of competitiveness and innovation. 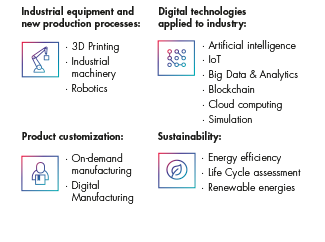 The Industry 4.0 era brings us the solutions and technological innovations that are marking a difference in the way of understanding the new models of manufacturing and management of the industrial sector. All this is shaping the Digital Factories.